The "Country Series" aims to combine photographs with light, but authoritative commentary on the chosen themes, which cover art, architecture, travel, local history, the countryside, topography, gardens and rural life. "Victorian cottages" is the sequel to "Victorian Flower Gardens". Country life was idealized by the Victorians into an exquisite rural idyll away from the smoke and grime of the growing cities. Artists of the late 19th century sought to perpetuate this nostalgic vision and their work found its greatest expression in images of cottages and cottage life. The watercolours of Helen Allingham, Myles Birket Foster and Charles Wilson, to name but a few of the leading exponents, are romantic, but they also offer a record of rural England. Andrew Clayton-Payne contrasts the reality with an ideal and finds that the images he has chosen reveal more of the truth than a casual glance conveys. With 130 watercolours illustrated in full colour, this book should appeal to anyone who enjoys fine art and the English countryside. Andrew Clayton-Payne was the Associate Director and Head of British Drawings and Watercolours at Christie's in London. He now runs his own company. 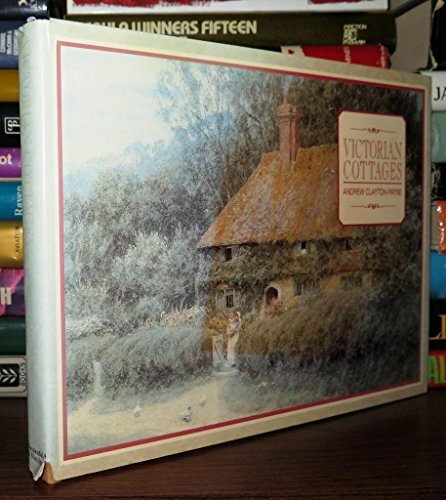 He is author of the long-running best-seller Victorian Flower Gardens and is a regular contributor to magazines such as Collectors' Guide and Country Life.